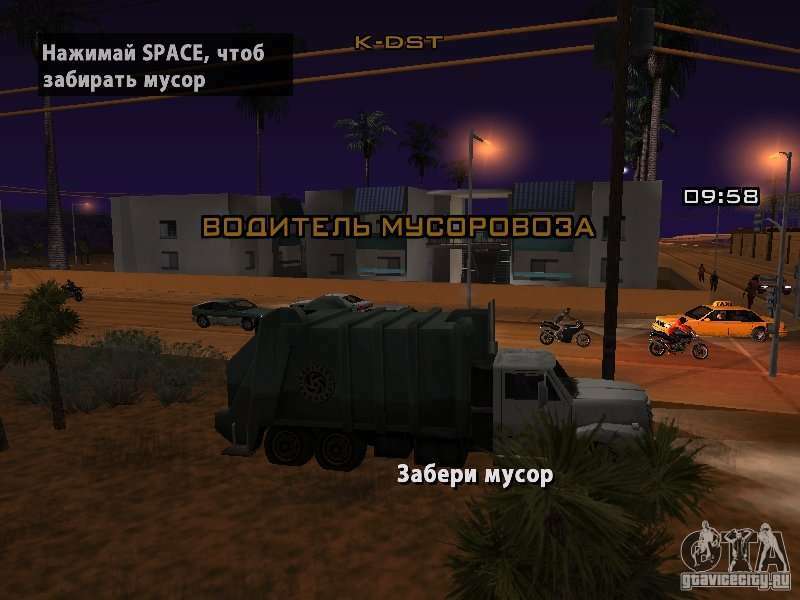 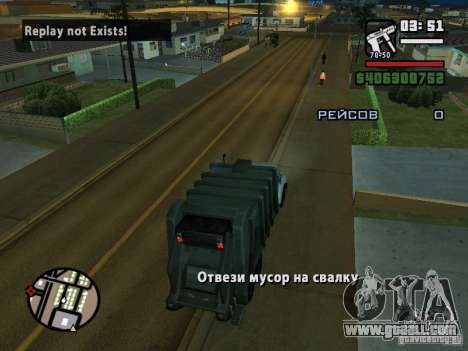 You will need to ride on musorovoznom car (only 10 missions in different areas) and to collect garbage bags near the yards (to pick up the package, travel to it as close as possible, and press the space bar). 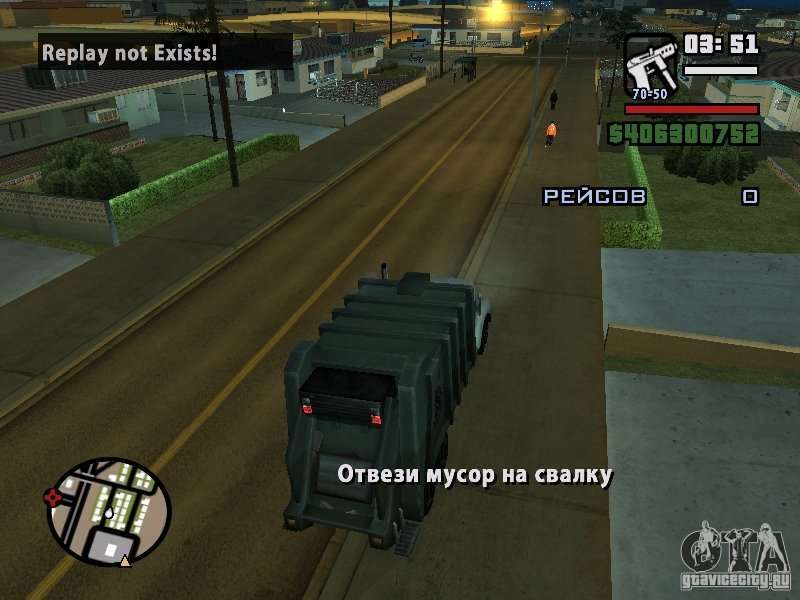 Once you have collected all of the packages, you will need to take it all to the dump, then you will be awarded $ 100. 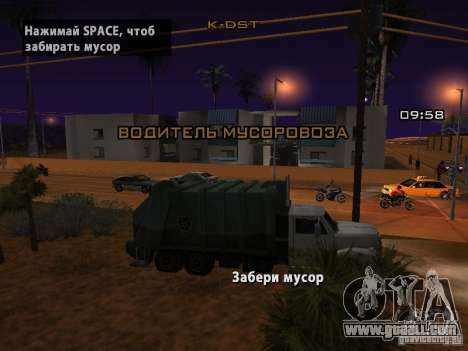 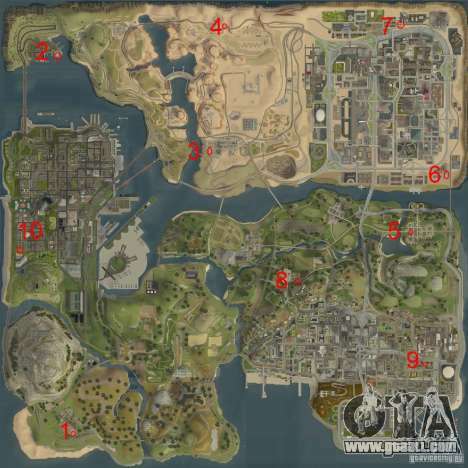 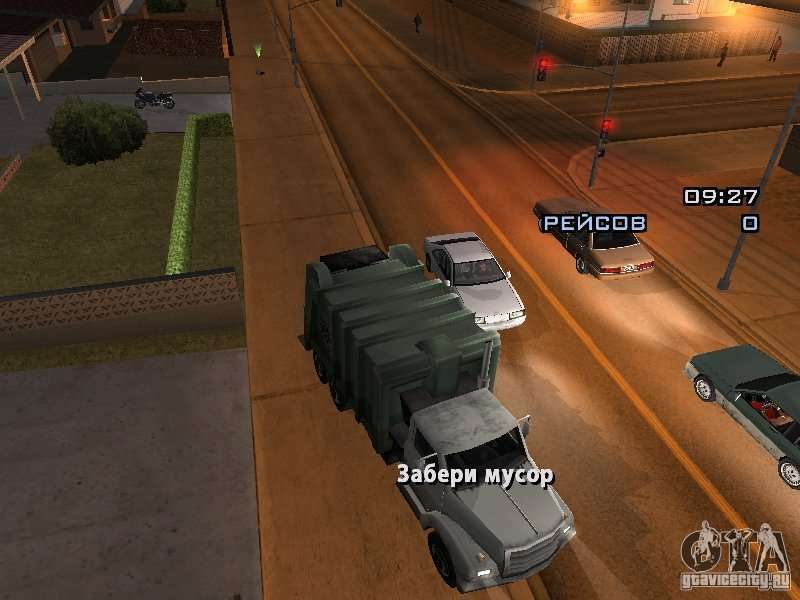 To play, look for one of the 10 car musorovoznyh priparkovanyh (map on the screenshot), go into it and automatically starts the task that runs on a timer.